Looking at those beautiful packaging boxes at your favorite stores nowadays, it is hard to ponder over their journey from small cardboard pieces to the exquisite art pieces in front of you. 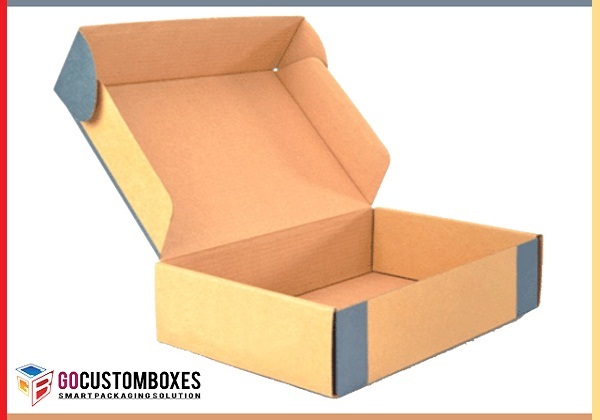 These simple chunks of cardboard are designed into various sizes, styles, and shapes to fit the need of the businesses selling their products. This idea of custom cardboard packaging is a result of a dire need for specialized packaging for every product to make it stand out in the market and attract the right customers. It is tough to reel customers in when there is a range of other businesses selling the same product in the same stores. When a shopper stands in the shopping aisle of a grocery store looking at the shelves after shelves of different cereal boxes, these boxes need to be customized in a way to give the customer the whole story at one glance. This will enable that particular brand to be chosen at first sight for further investigation. For a custom cardboard packaging to be able to fulfill these criteria it needs to have specific features. Firstly, it needs to be attractive. The colors, themes, pictures, logos and phrases printed on the custom packaging boxes have to be hard to ignore. Secondly, this attractiveness should and has to reflect the product. For instance, custom cardboard packaging of tea bags should have the attractiveness related to the flavor of the tea. The colors and themes should mesmerize the customer such that he can almost taste the flavor and can feel its aroma. Thirdly, the right information needs to be given to the customer so that they don’t spend time looking for the details they require and end up letting go of the product out of frustration. All the technical details need to be printed in the right location and with the right style. One of the main info which the business itself is in more need of relating to the customer is the brand name itself so that it leaves a mark on the customer’s mind and makes them retain it. Fourthly, there should be some unique features which make either the purchasing experience better such as window panes to give a preview of the product inside or highlights which make the customized box itself more convenient. Examples of the latter feature could be well-designed handles or good quality clasps. Lastly, the quality of these custom cardboard packaging is paramount. Every aspect of the custom boxes, from the material used to make the box to the ink, should be of high quality to ensure customer satisfaction, product safety, and longevity and eventual customer retention and loyalty. Our impeccable digital and offset printing along high-quality ink and latest printing techniques ensure that the custom boxes are of exceptional quality. On time printing and shipment is one of our key priorities. Our boxes which are shipped flat to you are very easy to assemble. Our shipping is free if you reside anywhere in the UK US and Canada. If you want to create a design from scratch or want to edit one of our existing designs from our vast range of templates, we will help you all the way. We provide comprehensive professional expertise to our customers in all designing areas. This is done through the services our experienced design team free of charge. We are always observing the deteriorating status of our nature by the outrageous decisions made by companies in choosing harmful materials to manufacture their products. The plastic and chemical waste are already eating away at our environment. Therefore, we do not want to add to this enormous burden on our nature and hence use 100% biodegradable materials. For an enhanced customer care service, we offer a 24/7 online chat facility to answer all our customer’s queries promptly. We are always live and running throughout the week and round the clock with constant feedback to our customers.